Eleanor Roosevelt’s generosity was evident during her tenure as First Lady; her active support of a variety of charities would even create an expectation of civic activism in the wives of future presidents. However, Mrs. Roosevelt’s generosity extended beyond the charities she supported; Hobcaw Barony’s own Minnie Kennedy would witness her kindness first hand. 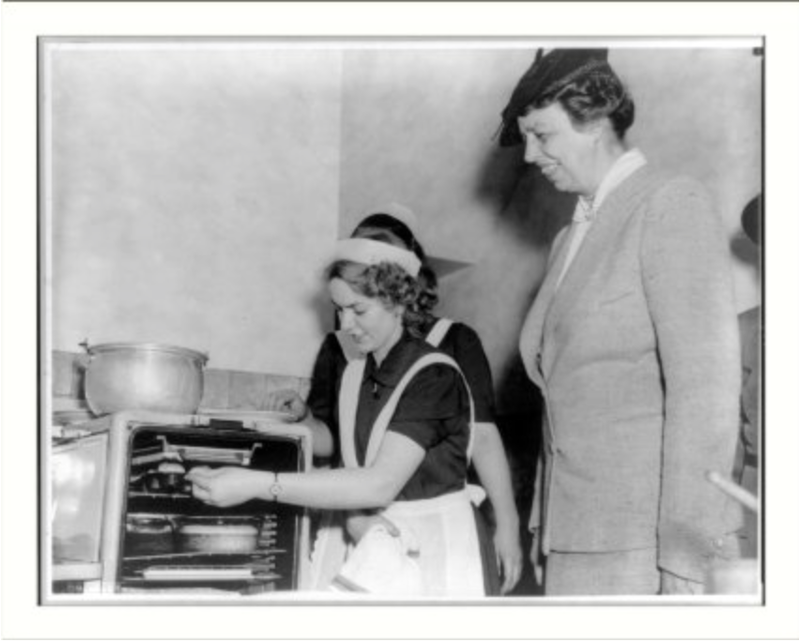 c. 1939, Eleanor Roosevelt watches Girl Scouts bake. Photo courtesy of the Library of Congress. In the summer of 1960, Minnie Kennedy was working as a camp counselor in New York. In the video below she describes a field trip to the Roosevelts’ home in Hyde Park, where Eleanor surprised Minnie and the campers with her thoughtfulness. Minnie Kennedy talks about Meeting Mrs. Roosevelt from Between the Waters on Vimeo.